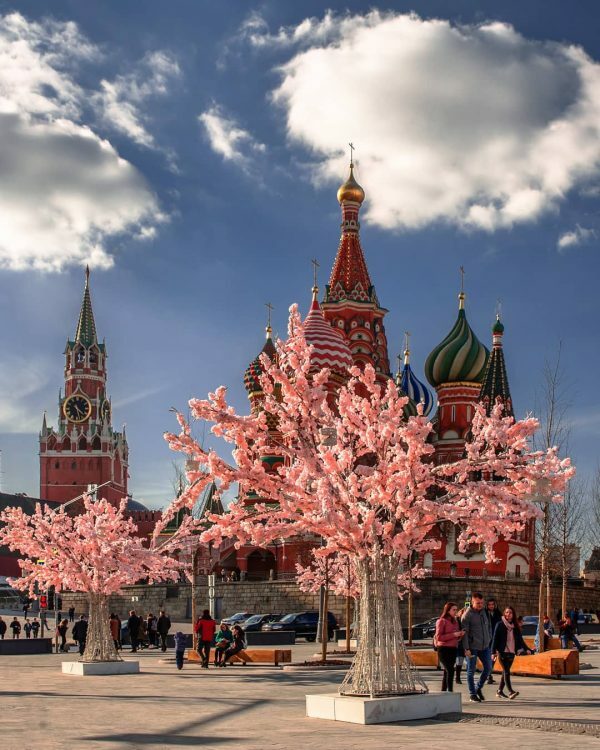 Over 500 decorative lighting elements of spring and festival character – Paschal eggs, baskets, trees, photo zones – will be set up for the festival Paschal Gift on April 7, deputy of the Moscow mayor Pyotr Biryukov said. “Over half of these objects have already been used in festival decorations”, Biryukov told journalists. Composition Garden of Butterflies will be created in Nikolskaya Street on the basis of famous installation Star Sky. A seven-meter Paschal egg will be traditionally set up in Kamergersky Lane, over 1400 artificial flowers will decorate it. Flowers will “blossom” on artificial trees. According to Biryukov, one of the central compositions will decorate Manezhnaya Square. Wooden fences, stacks of hey, 60 Paschal eggs, 120 rabbits, 193 oak barrels will be added to already existing decorations. Over 100 low voltage LED will be used for Paschal decorations. Paschal greeting cards will decorate the city. 200 billboards and videos on media facades of houses will congratulate passers-by.